Known as the “Grand Old Lady of Locust,” the Academy of Music is the most beautiful performing arts venue in Philadelphia. 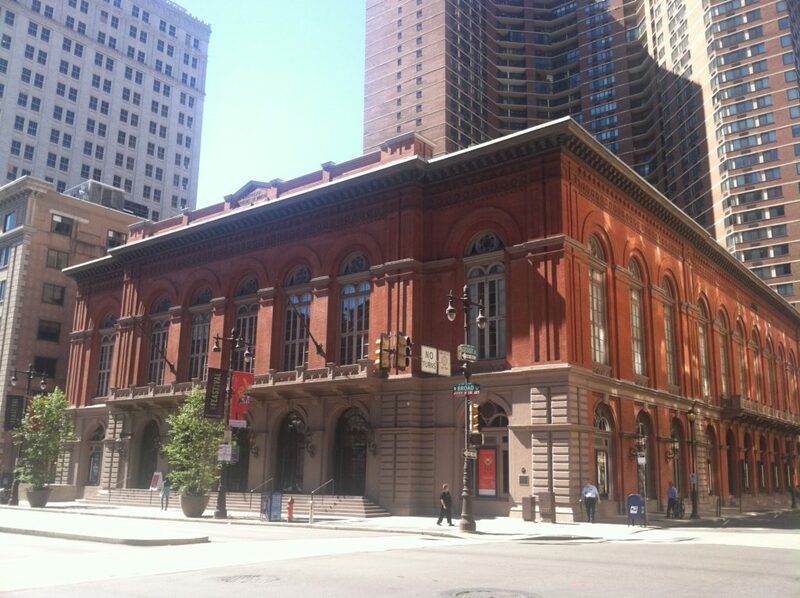 As, the oldest opera house in the United States, the Academy of Music was home to the Philadelphia Orchestra until 2001. Despite the beloved Orchestra’s move, the Academy is still the venue for many events, including Opera Philadelphia and the Pennsylvania Ballet. The Academy’s storied history has featured performances by the likes of Luciano Pavarotti, Marian Anderson (who was a Philadelphian), Frank Sinatra, Duke Ellington, and Tony Bennett. Among the composers who performed their own work here are Aaron Copland, Igor Stravinsky, Gustav Mahler, Richard Strauss, Sergei Rachmoninoff, and one Pyotr Ilyich Tchaikovsky, who conducted a performance of The Nutcracker. In 1873 Buffalo Bill’s circus performed here. The soundtrack of Disney’s legendary Fantasia was recorded here under the conduction of Leopold Stokowski. The majestic building was designed by Napoleon LeBrun, whose other work includes the Cathedral Basilica of Ss. Peter and Paul on Logan Square. The Broad Street facade is a local landmark, and a symbol of the arts in Philadelphia. It even has authentic lamps, with visible flames, outside the doors. The interior is one of the most elaborate in the city. The most famous feature is the chandelier, which weighs 5,000 pounds and is 16 feet in diameter. Above the stage’s large red curtain is a bust of Mozart. The Academy also has a ballroom, which has several chandeliers and elaborate ornamentation, including an extremely elaborate rug. The academy has four tiers of seating, counting the first level, which has the majority of it. It is home to Opera Philadelphia and the Pennsylvania Ballet, which performs The Nutcracker here every Christmas. Recently, it began running non-classical music, as a general concert venue as well.